There is a certain amount of romanticism attributed to “The Lost Generation” a term that was popularized by Ernest Hemingway and used in his novel, The Sun Also Rises. Artists like Ernest himself, F. Scott Fitzgerald, James Joyce, Pablo Picasso, Gertrude Stein, John Steinbeck, and more make up the list of figures associated with this time period. More fascinating is that many of these writers and artists found themselves in the same social circles, and even travelled the globe and found one another as Expats in Europe. One such place where individuals convened was Villa America, a home built by Gerald and Sara Murphy in Cap D’ Antibes. Gerald had a brief success as a painter, and his wife was known for throwing lavish parties for their social circle. There have been quite a few novels written about the Lost Generation, books about the tumultuous relationship between Zelda and Scott Fitzgerald (Z: A Novel of Zelda Fitzgerald), or about the many conflicted relationships of Ernest Hemingway (The Paris Wife, Mrs. Hemingway) many other novels exist and the appeal is intoxicating. The colorful personalities of famous literary figures and artists who were drawn together following the War and set the tone for the time with a determination to create something new and bold and honest and maybe even shock the world- What conversations they must have had at the dinner table! What must they have thought about one another! The very idea is enough to set a literature junkie’s head spinning. Gerald and Sara Murphy were key figures during the era, of all of the characters listed above, they were the most settled and they often hosted get-togethers in their home, bringing everyone together and enjoying the excitement and novelty of the incredible combination of personalities. They are often fringe characters in the other novels, somewhat treated as necessary to the story but less than interesting. 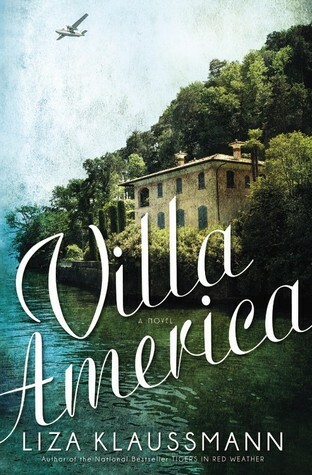 Villa America, by Liza Klaussman, delves deeper into the lives of the painter and his socialite wife who dared to make a life for themselves outside of the confines of traditional American society and create a world of creativity and thinkers around them. Sara and Gerald earned their own bit of the limelight, Gerald as a painter and Sara was rumored to be the inspiration for beautiful, charismatic characters in works by both Hemingway and Fitzgerald, and was even painted by Picasso. In fact, F. Scott Fitzgerald wrote “Tender is the Night” after inspiration received during his times at Villa America, and it has been said that the characters are based on his friends there and the novel, “Villa America” is written to delve deeper into the world that inspired Fitzgerald’s novel. In short, if you love The Lost Generation as much as I do, don’t miss Villa America, by Liza Klaussman, and the audiobook by Hachette Audio is worth a listen, too. Enza and Ciro grew to adolescence in the mountains of Italy, their lives crossing one another but never meeting, until Ciro arrives to help bury her little sister and the two are pulled into a saga of near misses and everlasting love that lasts for decades. Ciro learns that he must leave the convent where he has been living, bound to be a shoemaker’s apprentice in America. Enza stays with her family, but as they begin to lose everything to horrible luck and heartache, she finds herself on a boat, also headed to America. In some stroke of luck in the overcrowded city, they find one another again-but the timing is not right and they divide to follow their separate destinies. She gets low-level work in a factory and meets a friend who convinces her that they can do better, giving her the strength to pursue dreams she never thought she deserved to realize. She finds herself in the job of her dreams, a seamstress at The Metropolitan, creating costumes for the opera singers, and she finds a man who immediately adores her, and they become engaged. In the meantime, Ciro leaves to serve America in the Great War. But Enza has not seen the end of Ciro. The two meet again, and she finds that she must answer the questions that have haunted her since that first kiss on the mountain in the Italian Alps. Can she say goodbye to Ciro, for once and for all? This is a novel about everlasting love, destiny (both manifested and otherwise), following your heart and taking risks in the pursuit of happiness. More than anything, this is the story of two Italian Immigrants trying to make their way to happiness in a time when everything was against them. 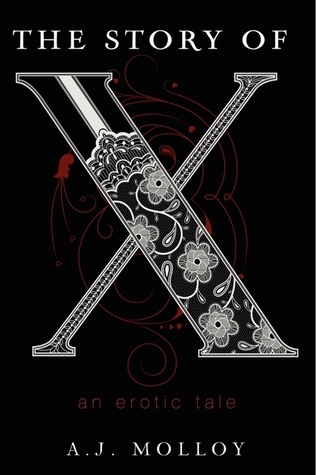 The reality of this novel will strike the more sensitive readers brutally. Lives are lost, hearts are broken, and greatest fears are met-this tale is beautiful and moving, and at times, unbelievably heartbreaking. 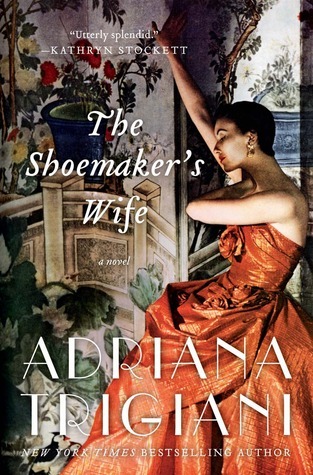 If you loved The Zookeeper’s Wife, by Diane Ackerman, The Thorn Birds, by Colleen McCullough, which address love at it’s most painful and families that endure unbelievable strain, then this novel, The Shoemaker’s Wife, by Adriana Trigiani, is a must-read for you. And don’t be put off by the slow start-the story gets much better than you expect. I Promise.